This is Milo. 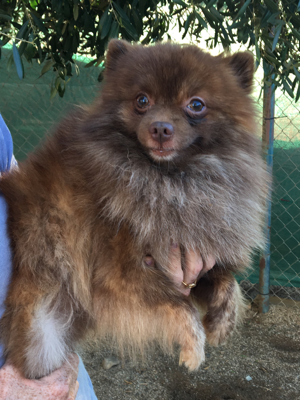 He is a precious, little, 2 year old Pomeranian. He has a beautiful chocolate coat. He is shy and has not had much attention. He belonged to a collector and did not receive much love. Milo is looking for a loving home.